Skin mycoses are fungal infections that occur particularly in the summer, as well as in hot, humid environments like beaches, swimming pools, gyms and locker rooms. They are caused by microorganisms like “mycetes” or “fungi”, and are characterised by the appearance of reddened, vesicular or scaly spots on the skin, which are associated with itching. A product designed for daily hygiene, it tends to maintain the surface microbial flora in excellent condition thanks to ciclopiroxolamina and a suitable pH. 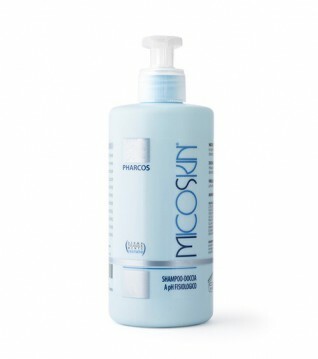 Particularly pleasant and easy to apply, MICOSKIN preserves the skin’s hydrolipidic film because it consists of a balanced mix of surfactants. Dermatologically Tested.